[By Nick] So as we make our way through my Ice Cream Source order, we find ourselves back at a brand that had me considering transferring colleges just for their ice cream. I knew when making this order that I had to pick up a couple more of their flavors so the first one is a flavor I hold near and dear to my heart: Butter Pecan. I’ve spoken about my love of Butter Pecan enough on this blog for you guys to know that I take it very seriously. I’m not much of a fan of deviating from the normal buttery base let alone the use of plain vanilla ice cream. Babcock Hall has a trick up their sleeve though, instead of going either of those two routes they thought to shakes things up completely and possibly go straight for my heart. They decided to make the base butterscotch ice cream. Just let that set in for a second…good? Okay. I’m a card carrying member of the “Butterscotch Is Underrated Club” so seeing it used as the base of my favorite ice cream has to be one of the greatest ideas ever. I’m sort of drooling as I type this introduction up so let’s cut the chitchat and move on to the ice cream. Taking off the lid, I was surprised at how reminiscent of coffee ice cream it looked. The color is not exactly like I had imagined it to be. 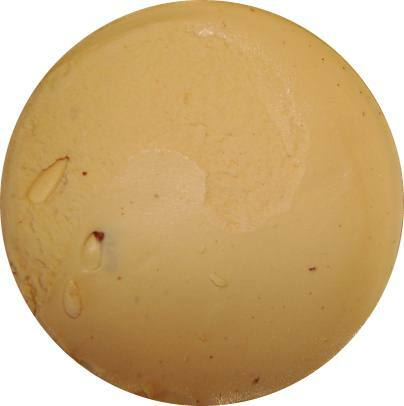 When I think of butterscotch I think of a rich golden color. Looking at this, all I see is a very dull tan hue. Taking my first spoonful and that dull look translates to the taste. The butterscotch flavor is so mild that the base just tastes bland. All I’m getting is notes of sweet cream and none of the promised butterscotch. The pecans on the other hand live up to their billing. Though they’re not as plentiful as I would like, when you run into one you’re in for a treat. 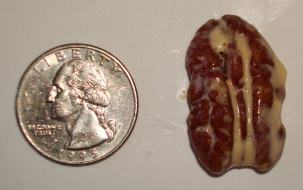 The majority of them are pretty large half pecans. I managed to find this beast as well. While I do appreciate the size of the nuts (quit laughing! ), I would’ve much rather had them chopped up so I’d be able to get some in each bite. 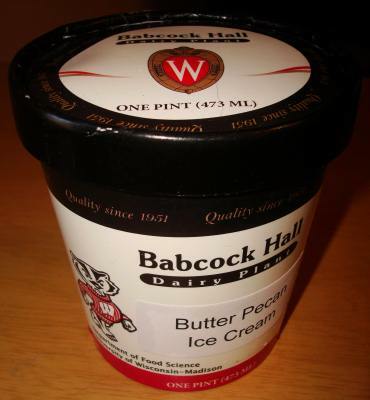 With Babcock Hall's approach, you’re left eating a few scoops of the dull base before you run into one of the butter roasted pecans. It’s a shame too because their taste almost makes up for the base’s short comings. My hopes were so high for this one and now they have come crashing down. If you’re going to deviate from the norm you have to be sure your product lives up to the hype. This one didn’t just fall short, it fell before it even started the race. Now if they were to transfer those pecans to a normal buttered base and chop them up a bit I could see Babcock Hall having a winner on their hands. 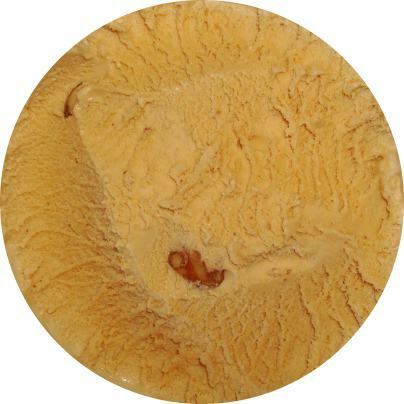 The way things are now, this injustice to butterscotch doesn't deserve the name Butter Pecan.